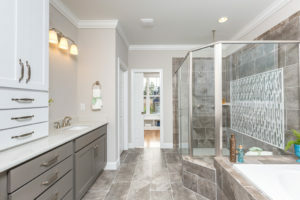 ICG Homes presents a new virtual tour of The Colton. Click here to begin! 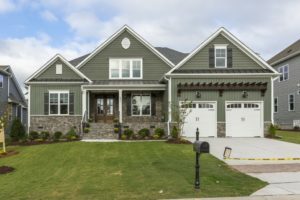 Visit this home during the 2017 Triangle Parade of Homes. The event runs October 6-8 & October 13-15 from Noon – 5:00 PM, and is free and open to the public. 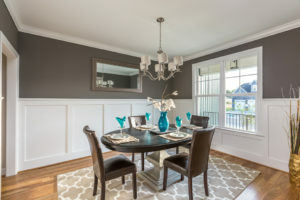 Located at 621 Connington Way in Rolesville’s Carlton Pointe, this plan includes 3,200 square feet, 4 bedrooms, and 3 baths. 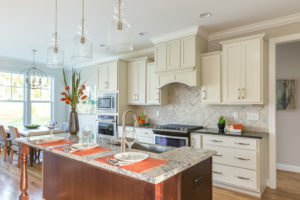 The kitchen includes granite counters, a tile backsplash, custom cabinets with crown trim, a center island with breakfast bar and pendant lights, stainless steel appliances. 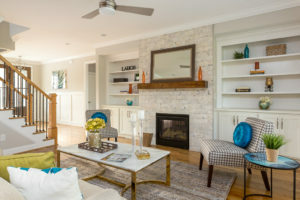 A custom surround gas log fireplace with mantle and HDMI hookup and built in cabinets with display shelving are focal points of the family room. Enjoy a huge 1st floor master suite with a private foyer entry, trey ceiling, and a huge walk-in closet. Hardwoods are throughout the main living areas. For more information, contact ICG Homes 919-876-5802.